The Baker’s adventures in Wales. Many of you ask how Tom and Jane, who founded Loaf from their home in Stirchley back in 2009, are getting on these days. Tom will be back at Loaf on Saturday 17th November to teach Simply Sourdough (there are places available, book here) and as you’ll see if you read on we’re not sure how regularly we’ll be hosting Tom’s courses in future as he and Jane’s new ventures in Wales are very exciting! Jane on the Machynlleth Market stall. After having their son Reuben in 2016 and Tom taking an extended period of parental leave, they headed off in a campervan, visiting bakeries and permaculture projects across Europe and searching for the right place to start the next chapter in their lives. Machynlleth in mid-west-Wales is that place! They moved in April this year and started a new ‘micro-homestead and family bakery’ called Rye & Roses or Rhyg a Rhosod in Welsh. They sell their bread at Machynlleth’s amazing weekly market – the biggest street market in Wales. Tom bakes purely sourdough from Loaf’s original sourdough starters, with a focus on whole-grain loaves from non-commodity grain milled by water power at Felin Ganol just down the coast. 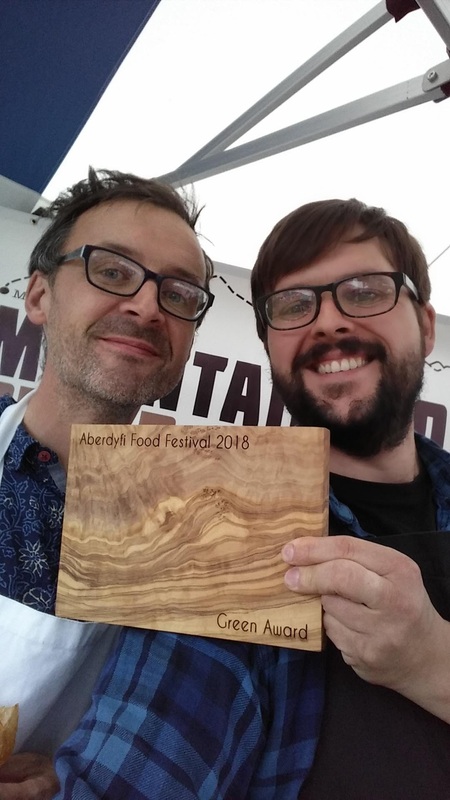 They’ve benefited hugely from taking over their spot on Machynlleth market from Mair’s Bakehouse who had been selling wood-fired sourdough bread there for the past 9 years, and had decided to retire this year and kindly endorse Tom and Jane’s new enterprise. 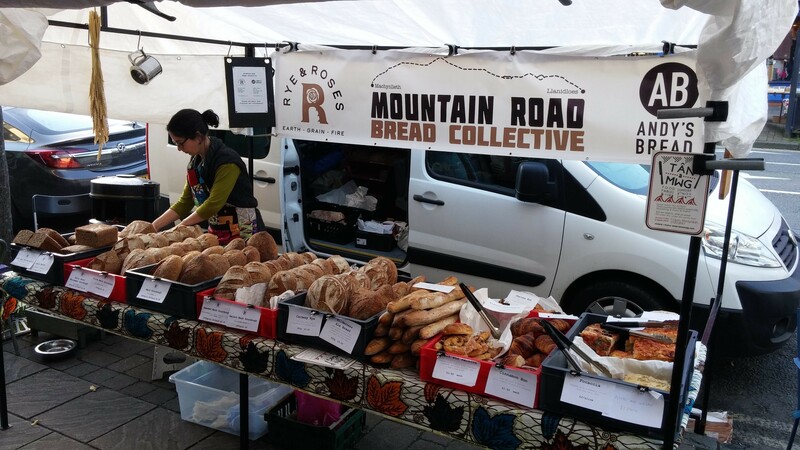 They’ve also hooked up with another bakery, Andy’s Bread in Llanidloes, and formed the ‘Mountain Road Bread Collective’ and sell their bread together at the market and other events. Tom makes everything by hand (no mixer!) just like the early days of Loaf, and currently bakes in a semi-commercial ‘Rofco’ oven in the conservatory. 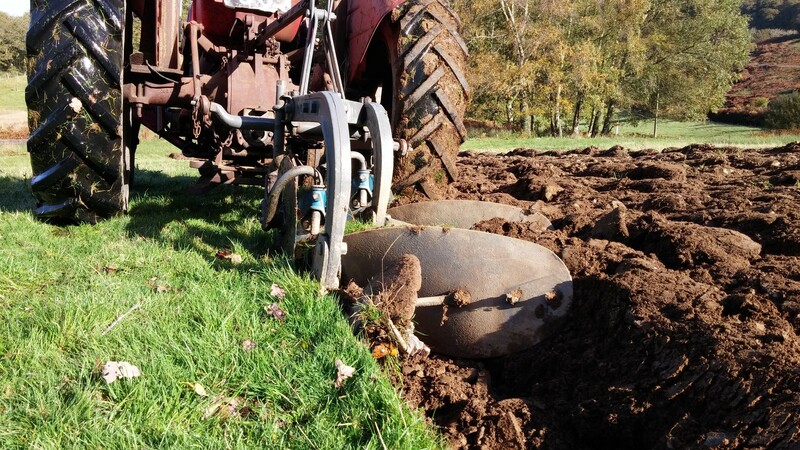 They’re hoping to be fully off-grid with the bakery in 2019 and put a wood-fired oven in a purpose-built bakehouse in the garden.